Who doesn't want to look younger? Or better? Some people, surprisingly, may shy away from changing their appearance for the better. In a world obsessed with looks, sometimes it is thought to be superficial to even consider cosmetics and beautification programs. You may feel the same way about altering your teeth. 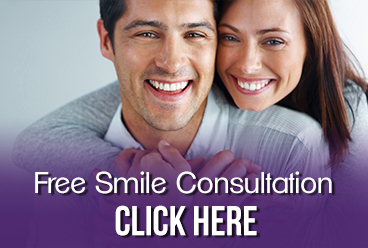 Dental implants however, are more than a cosmetic make-over. Dental implants, once in place, helps you regain confidence and will make you look years younger. There's nothing superficial about it. There are other benefits as well, such as restored chewing functions, no gooey adhesives, the alleviation of painful gums and improved speech pattern. There are many ways in which we age; shrugging off poor teeth as a natural occurrence of aging can undermine more than your looks. In addition, consider this: More than 36 million people in the United States have received dental implants and wear dentures. Dental implants have a success rate of over 90 percent and can take 20 years off of your appearance, giving you back a natural glow. If you've lost your teeth due to aging, an accident or some other dental problem, don't think there is no solution available to you. Dental implants which are artificial teeth that are placed into the jaw with the help of an artificial tooth root - can make you look good once again, completing your smile. They work better than bridgework, because they do not need the neighboring teeth for support. So make it a promise to yourself to improve your appearance. Don't shy away from something that can not only help you gain back some of the pleasures of living, but also makes you look good while you're doing it. For more information on the benefits of dental implants, contact our Grosse Pointe dentists or call us at 313.882.4970.